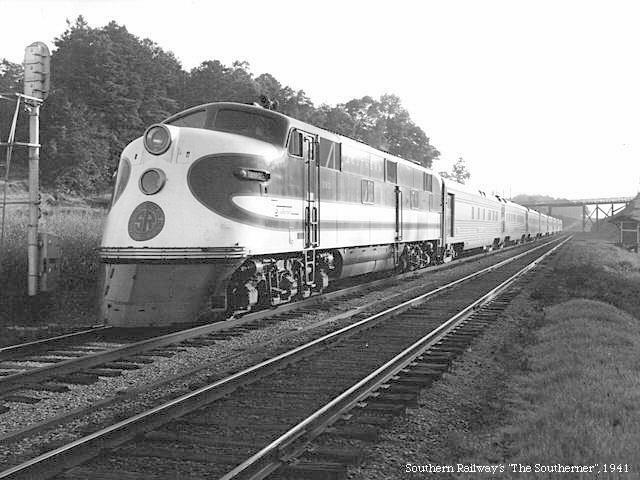 The Vulcan was one of 6 such self-propelled cars that the Southern ran on lightly traveled lines. Others included the Fighting Joe Wheeler, the Goldenrod, and the Cracker. 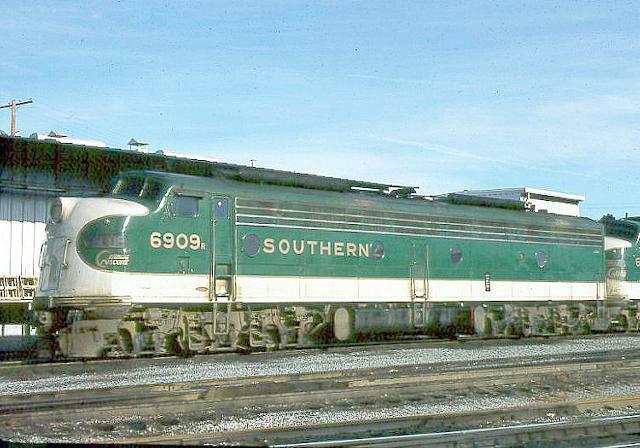 This was the paint scheme that EMC proposed to Southern for the E6s. Fortunately they cahnged the color scheme. 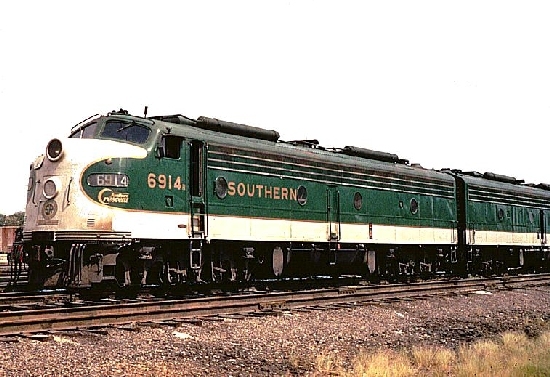 The Southerner ran with a single E6A unit when service began in 1941. 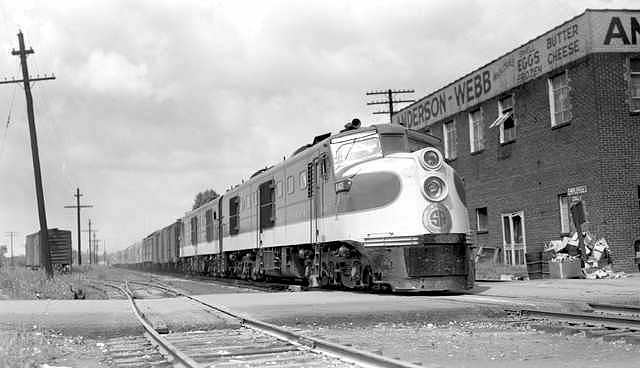 ALCO delivered 2 sets in 1941in the same paint scheme as the E6s. 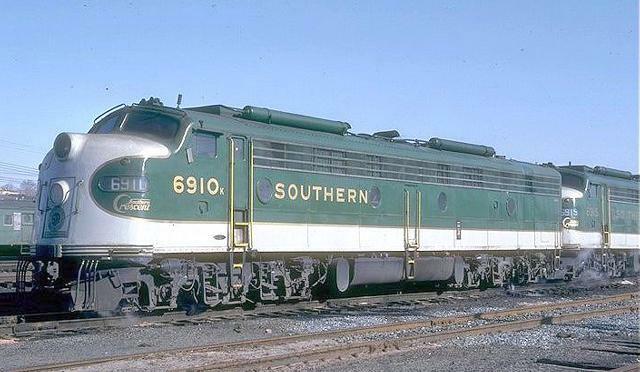 Even the DL109s made it into the simplified green scheme. 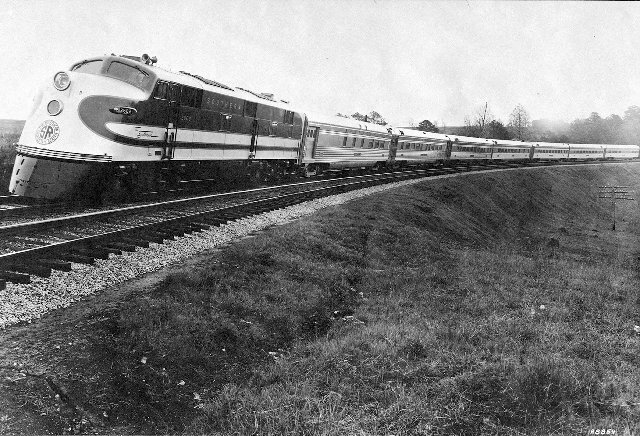 This shot clearly shows many of the modifcations made to the E6s during the 1950s. No. 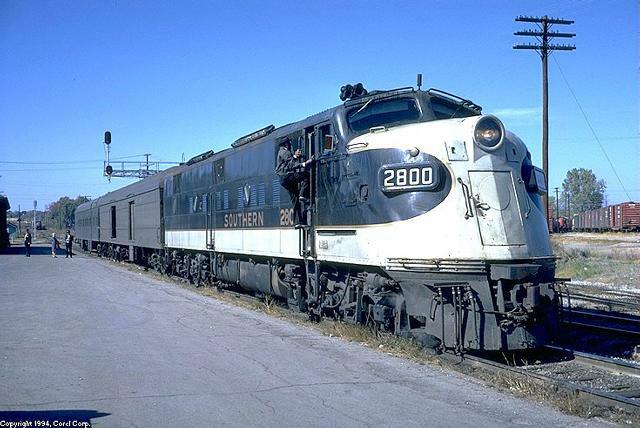 2919 was one of the first units to be delivered in the new simplified passenger paint scheme in 1949. 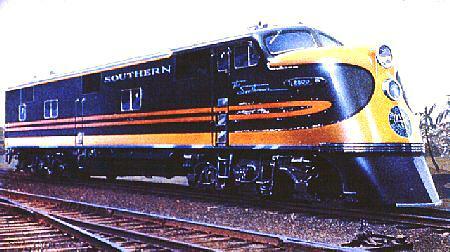 Beginning in 1958 all Southern locomotives were painted in this black and imitation aluminum paint scheme. 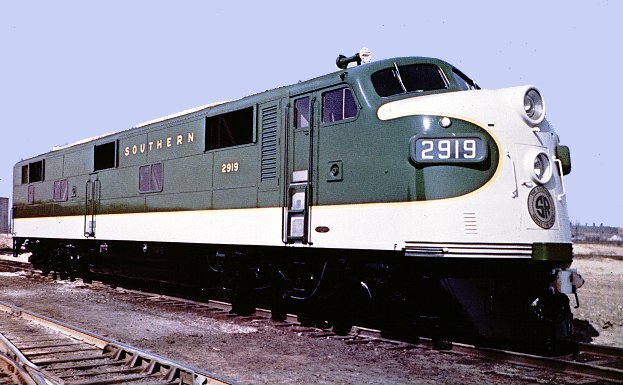 Witht eh advent of Amtrak the Soutehrn painted the E8s in the classic Southern green and gold paint scheme. 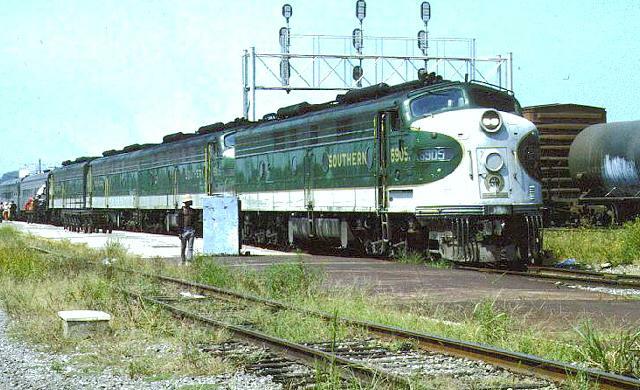 During the 1970s Southern motive power was a lashup of 4 E8s in the green and gold livery. 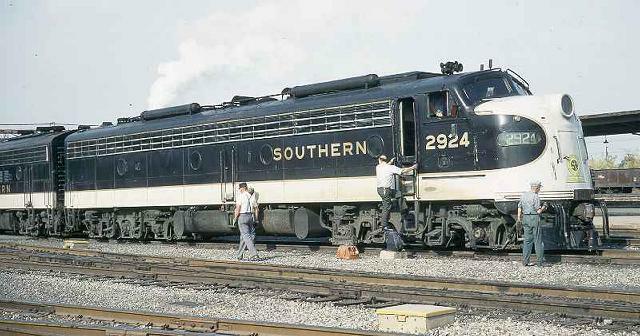 The Southern Crescent was the pride of the Southern. 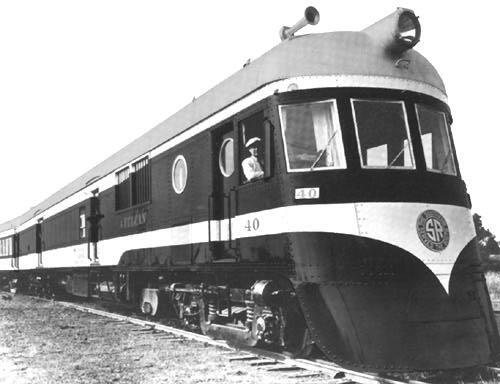 Those air tanks on the roof were referred to as torpedo tubes. 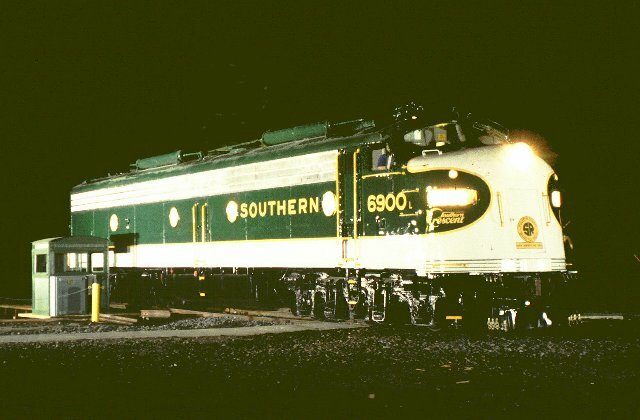 Unit 6900 sits on the turntable at Spencer during this night photo session. 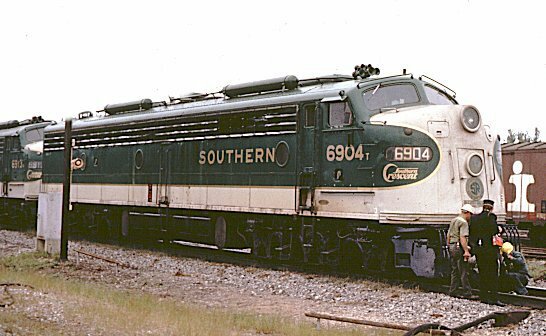 6910 has the lead on the Crescent in this shot. 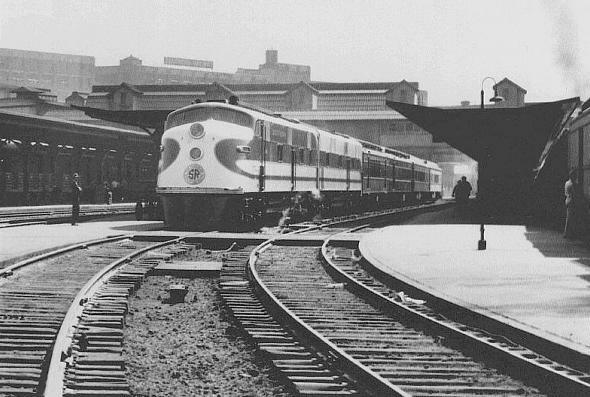 Amtrak is waiting in the background for the Crescent. 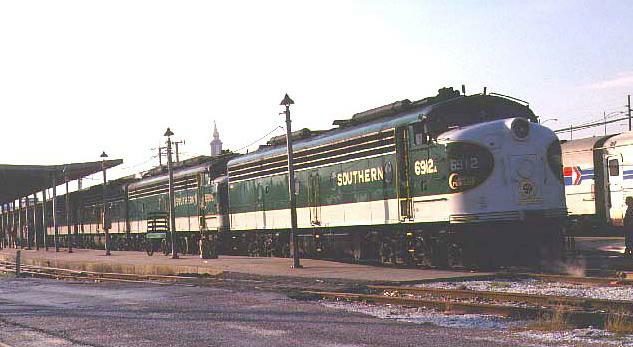 In later years the Southern painted over the lower headlight on the E8s. Copyright Larry Puckett 1998, 1999, 2000, 2001.